TakeOwnershipPro is a nice freeware that helps you take ownership and grant full permissions of any folders or files in Windows. 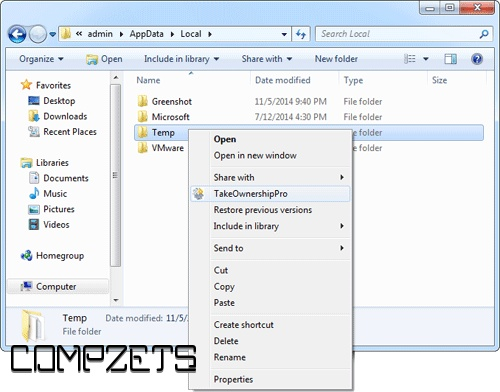 Simply drag and drop your folder / file to the program and you can grant yourself full control permissions quickly. This program also adds the "TakeOwnershipPro" option to the right-click menu in Windows Explorer, which that makes this process easier! Take ownership of your files from right-click context menu.